The Operations Simulator (OpSim) is an application that simulates the field selection and image acquisition process of the LSST over the 10-year life of the planned survey. Each visit or image of a field in a particular filter is selected by combining science program requirements, the mechanics of the telescope design, and the modelled environmental conditions. The output of the simulator is a detailed record of the telescope movements and a complete description of the observing conditions as well as the characteristics of each image. OpSim is capable of balancing cadence goals from multiple science programs, and attempts to minimize time spent slewing as it carries out these goals. LSST operations can be simulated using realistic seeing distributions, historical weather data, scheduled engineering downtime and current telescope and camera parameters. The Simulator has a sophisticated model of the telescope and dome to properly constrain potential observing cadences. This model has also proven useful for investigating various engineering issues ranging from sizing of slew motors, to design of cryogen lines to the camera. The LSST Project developed the Operations Simulator to verify that the LSST Science Requirements could be met with the telescope design. It was used to demonstrated the capability of the LSST to deliver a 26,000 square degree survey probing the time domain and with 18,000 square degrees for the Wide-Fast-Deep survey to the design specifications of the Science Requirements Document, while effectively surveying for NEOs over the same area. Currently, the Operations Simulation Team is investigating how to optimally observe the sky to obtain a single 10-year dataset that can be used to accomplish multiple science goals. Download the latest Reference Run and other simulated survey datasets, and read a description of the table most commonly used for analysis, Summary. Or find more information on previous runs. 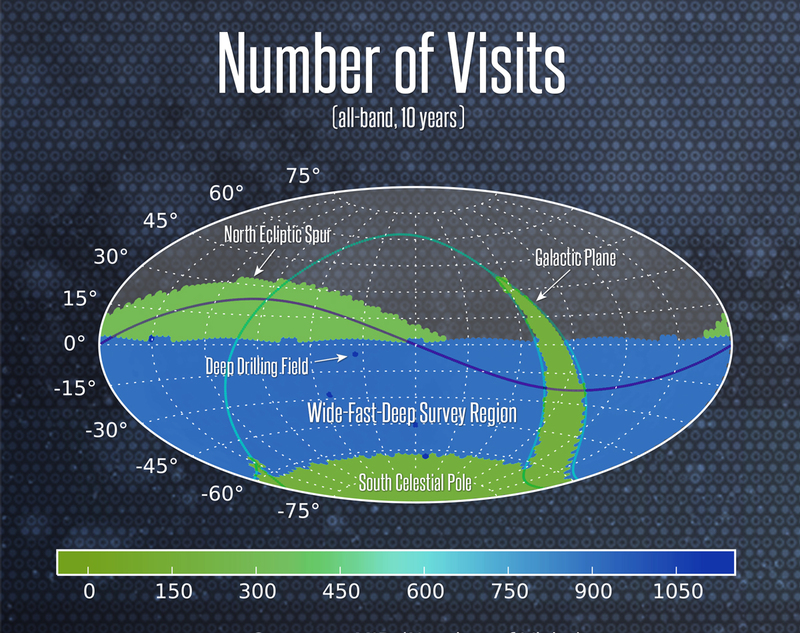 Contribute to a community white paper on the LSST Observing Strategy. Read more about how OpSim works in the documentation. Find detailed installation instructions, using Docker. If you have questions, they can be addressed using community.lsst.org.